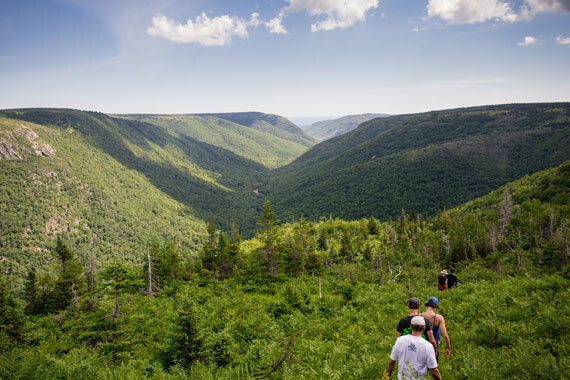 At the Top of Cape Breton Island, first-time visitors find an environment that's both breathtaking and serene; a place where rugged mountains slowly yield to pounding waves, with long stretches of sandy beaches the result. It's in this area of small communities flanked by the largest wilderness area in Nova Scotia on the north, the wilderness of the world famous Cape Breton Highlands National Park on the south and west, and the Atlantic ocean making up the remaining boundaries that the descendants of the early Highland Scots mixing traditional fishing livelihoods with more contemporary service-oriented professions having to do with environmental tourism. A location mid-way between two of the Fabulous Foursome Golf Courses,Highlands Links in Ingonish and Le Portage in Cheticamp. A modern interactive museum that brings the history of the Scottish Gaelic-speaking highland settlers to life, complete with the hardships and rewards of early settlement. Here visitors re-live shipwrecks, snowstorms, quilting bees and a culture of home-produced food, textile, implements, clothing and entertainment. Protected pristine sand beaches that stretch on for miles along the isolated coastlines, with cliffs which are gradually being worn down by the pounding surf, changing into impromptu tanning salons for resident seal colonies. Juried Cape Breton artists and artisans, who offer their pottery, rug hooking, weaving, silk, jewelry, quilts and prints for retail alongside Scottish tartans, kilts and drums. Here Scottish céilidh and classical concerts are weekly summertime events, culminating with the Celtic Colours Festival in October, and summertime play production celebrates a vibrant highland heritage, while just to the south evening National Park interpretive programs compliment ones visit. 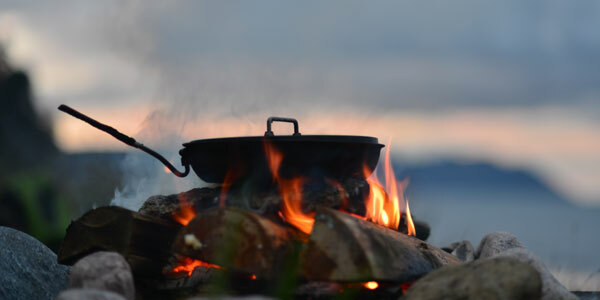 Here, in the autumn, the region hosts the annual Hike The Highlands Festival, lodging visitors in the heart of the area where the majority of the Festival's designated guided hiking routes are located. We invite you to share our home, to meet our people, to enjoy our environment, and to take home memories of our natural wealth. "Rustic, razor sharp and as thrilling a golf experience as can be found at any public course in North America." "I was preparing to hit from the edge of a fairway one afternoon late last August when a 10-foot bull moose walked up and asked to play through."